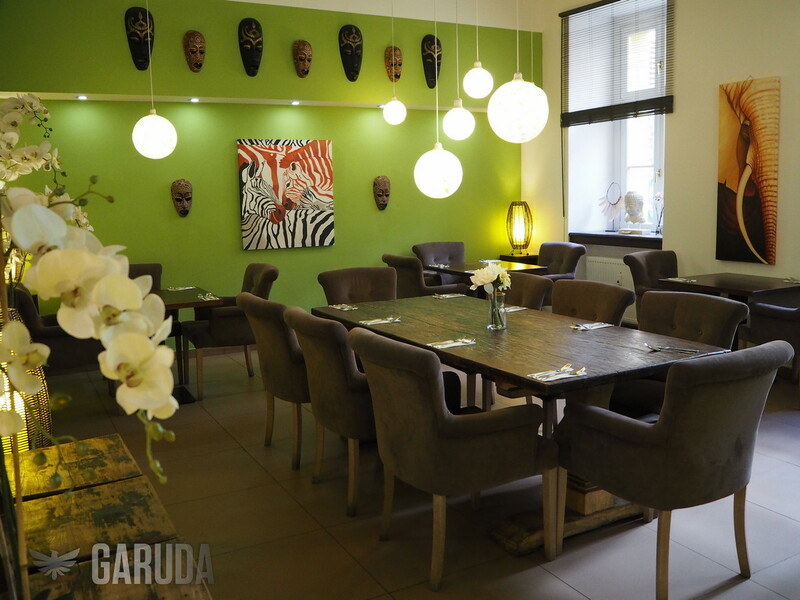 With the first warm sunbeams and beautiful weather, we´ve refreshed and brightened up the interior of GARUDA restaurant for you. 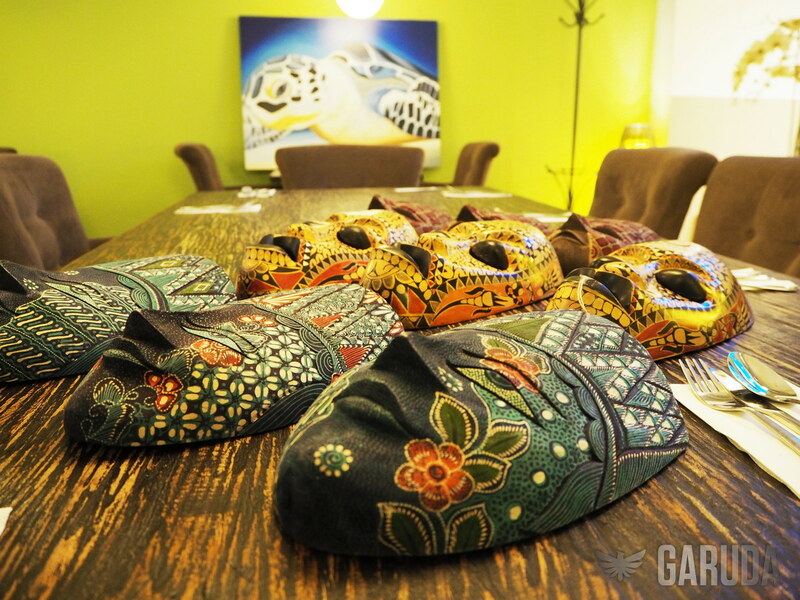 Whoever can count exactly how many masks are in the restaurant will get a free espresso! Newly we added delicious festive Tumpeng to our menu which is available exclusively on SLEVOMAT. So if you’re looking for really original present for your friends or family members this might be the right choice. 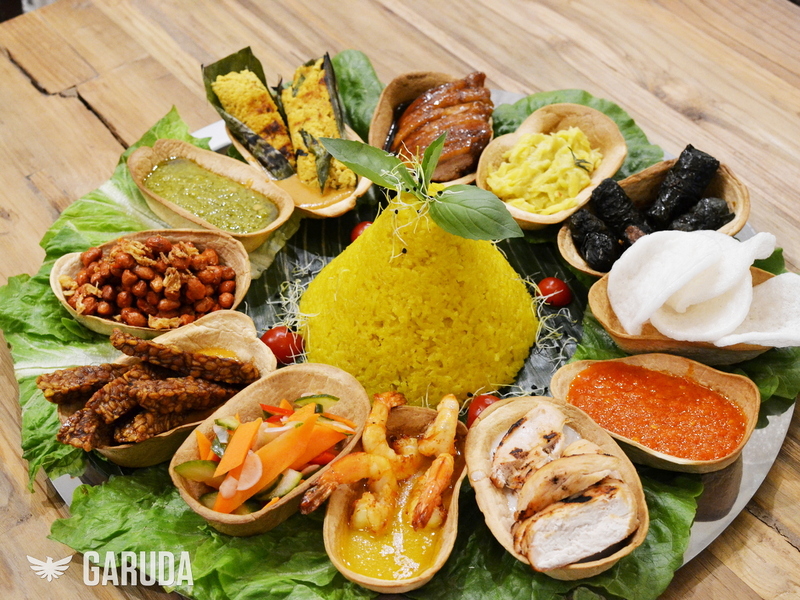 The cone-shaped Tumpeng is a mystic symbol of life and the side dishes and vegetables represent harmony of nature. Indonesians serve tumpeng as a dish to celebrate a special occasion, such as a birthday party, family or neighborhood gathering, farewell party, celebrations, recitals, and many other joyous events. 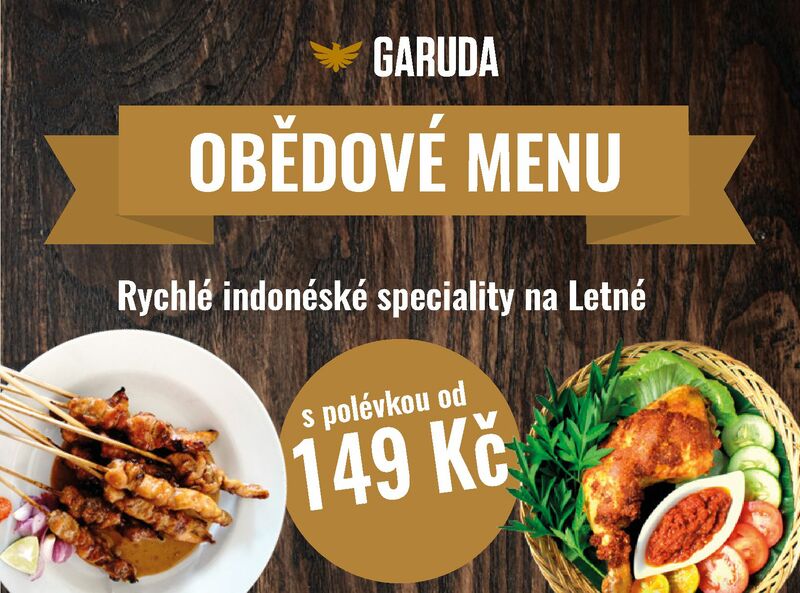 Discover the real tastes and flavours of Indonesia! 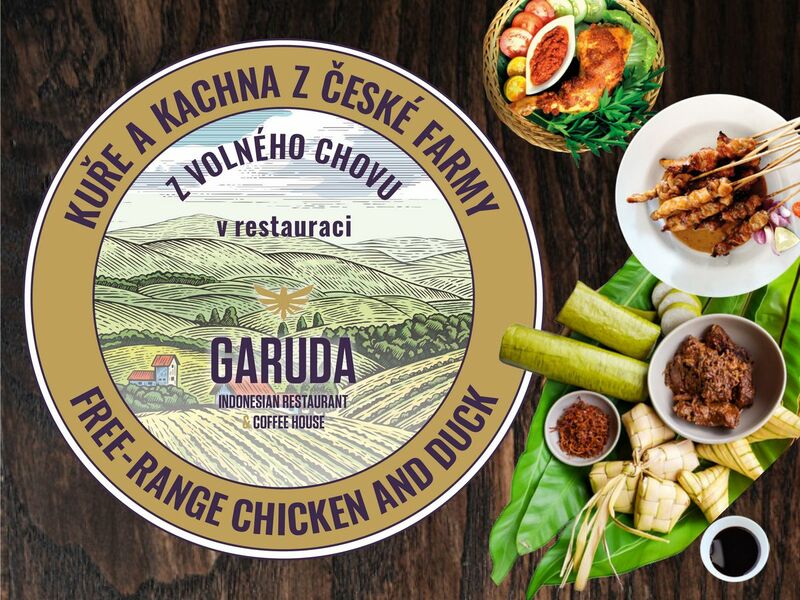 Come and relax in the pleasant atmosphere of Garuda Restaurant & Café in Prague's Holešovice. 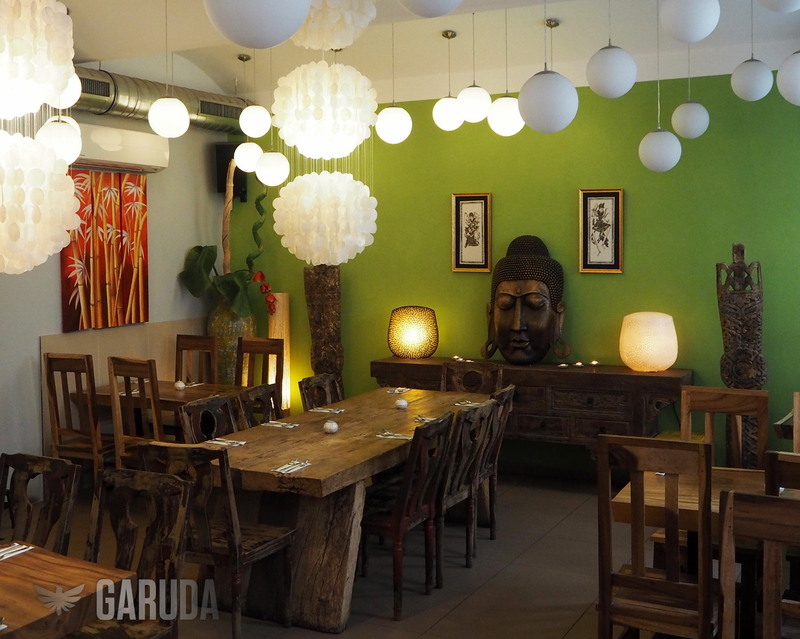 Taste the unique specialities of Asian cuisine. 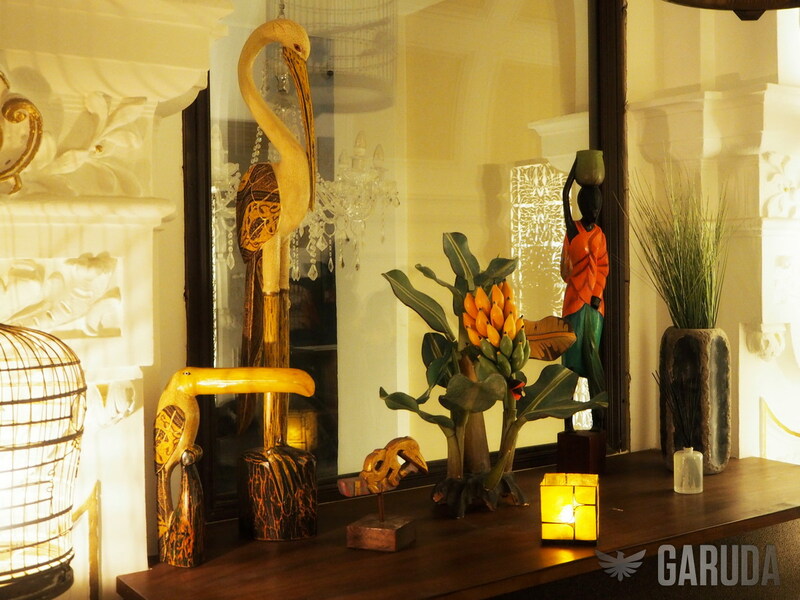 Don´t forget to try our tea blends or fresh fruit juices in our café. Our baristas will prepare excellent Indonesian coffee just for you. 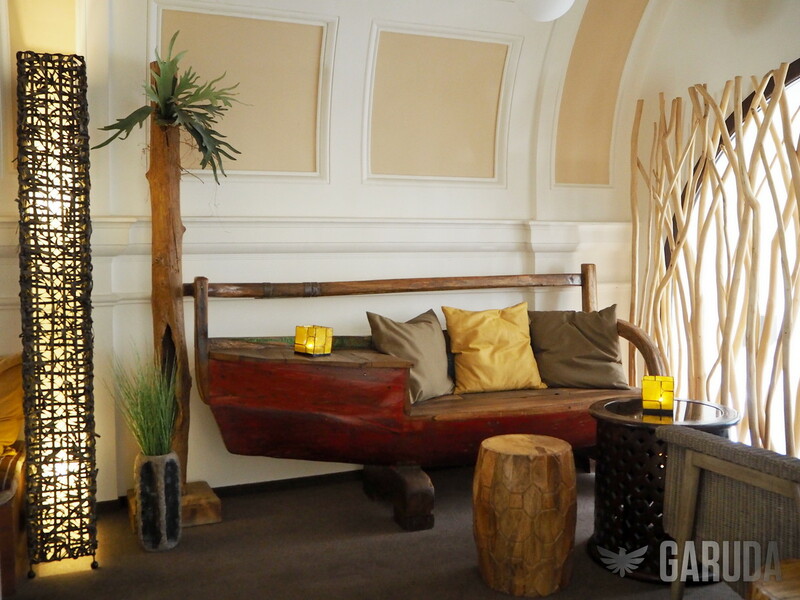 The chill-out relaxation zone will surprise you with its informal atmosphere. Somewhere you can truly relax. Our quiet lounge will provide a peaceful space for study, your business or corporate meetings. We look forward to seeing you!